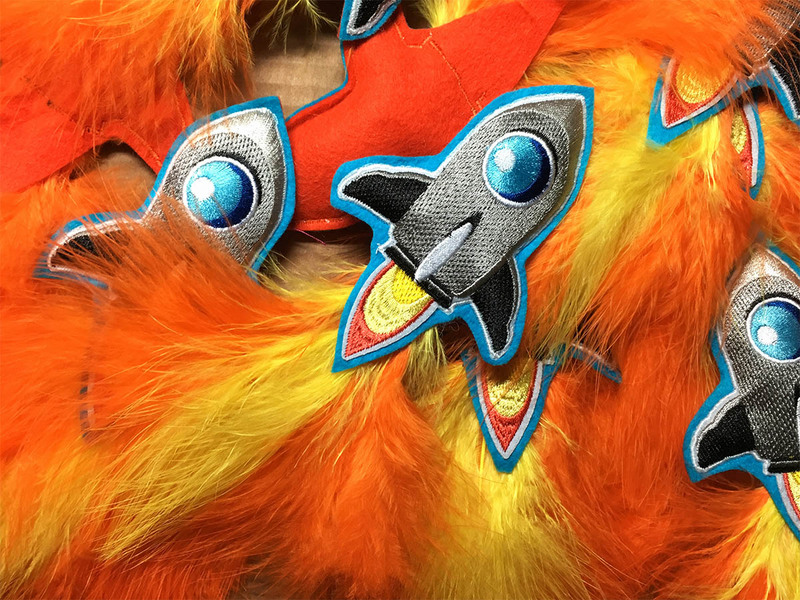 3-2-1 Blast Off! 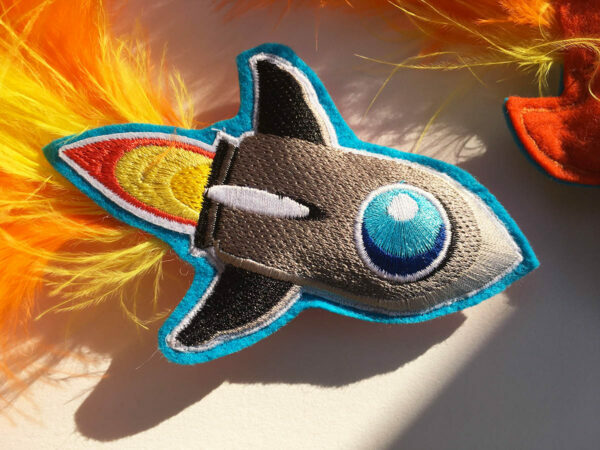 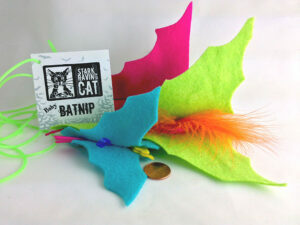 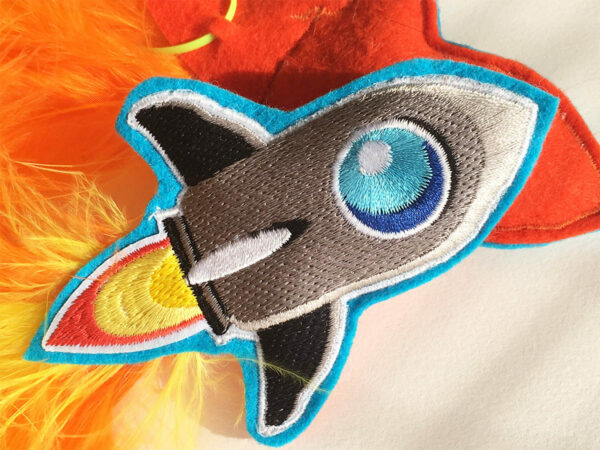 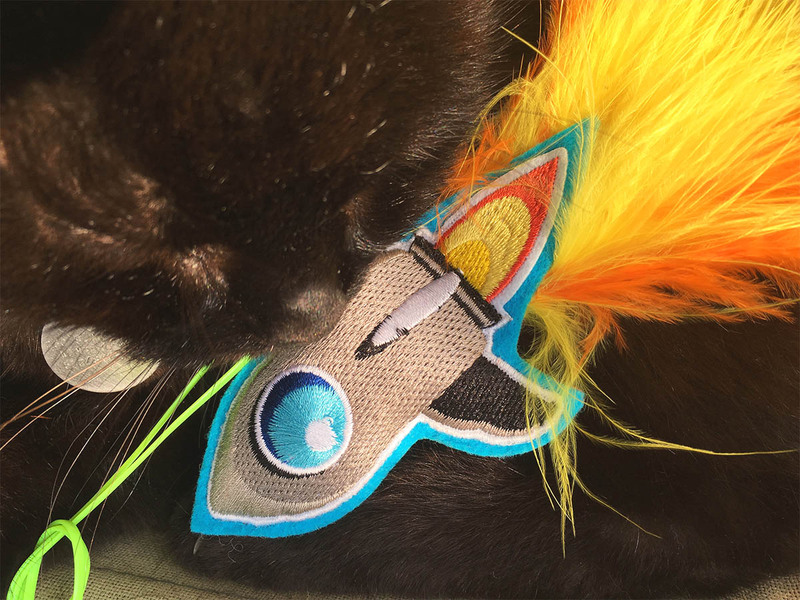 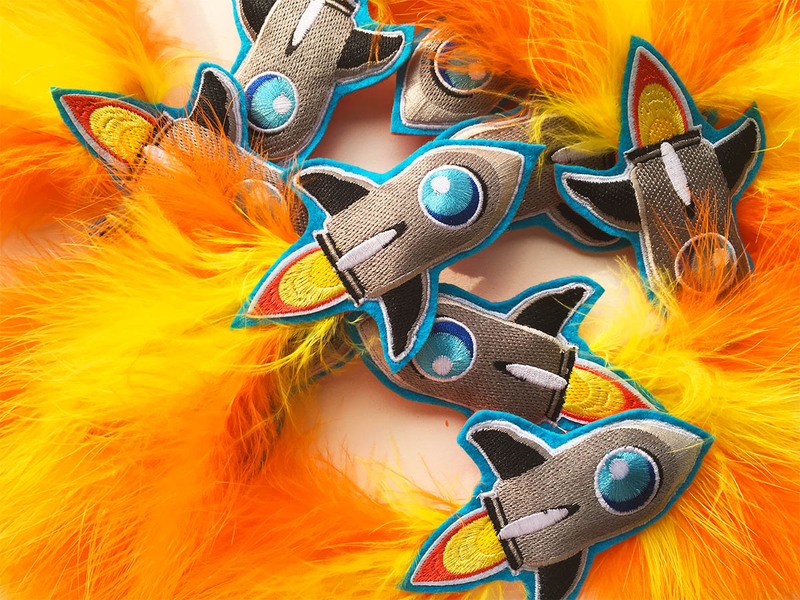 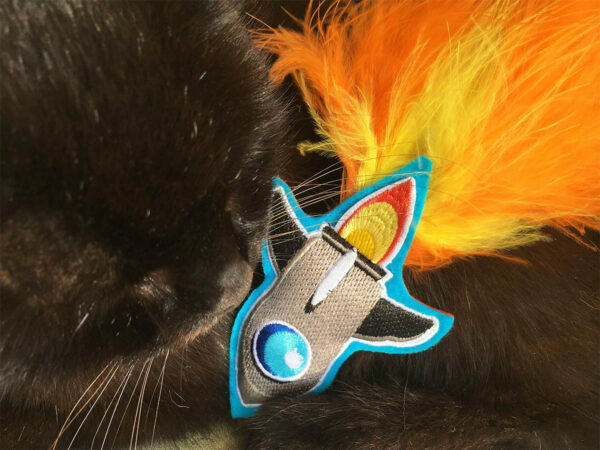 This LARGE catnip Rocket Ship sends cats into orbit! 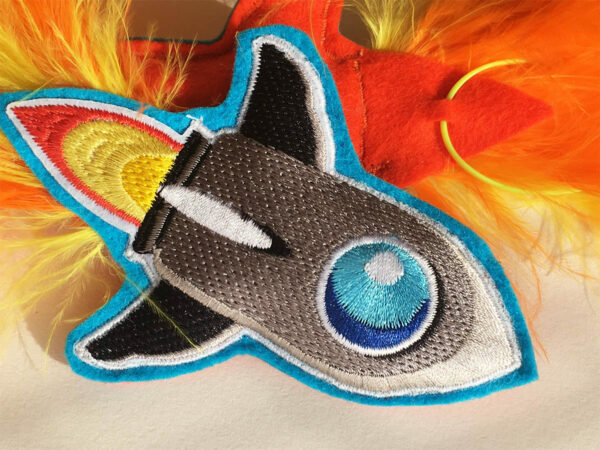 Complete with lush feather “flames” and a cord for dangling the rocket. 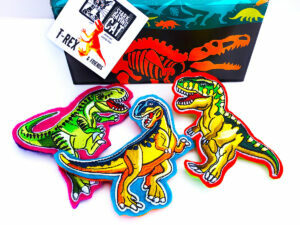 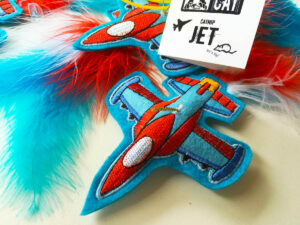 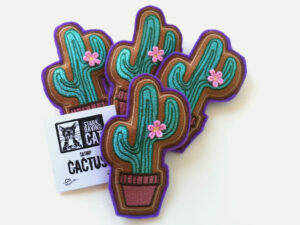 Features natural felt, packed with our 5-Star Catnip, and retro embroidered design. 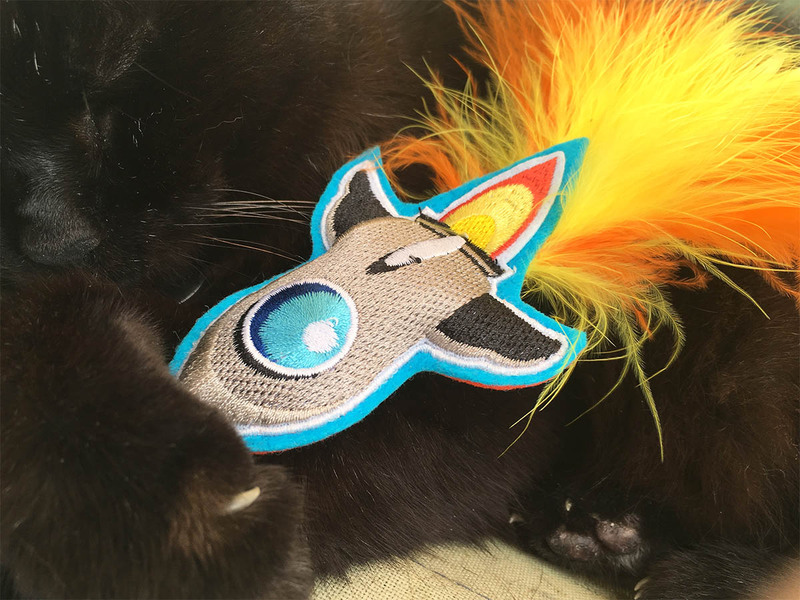 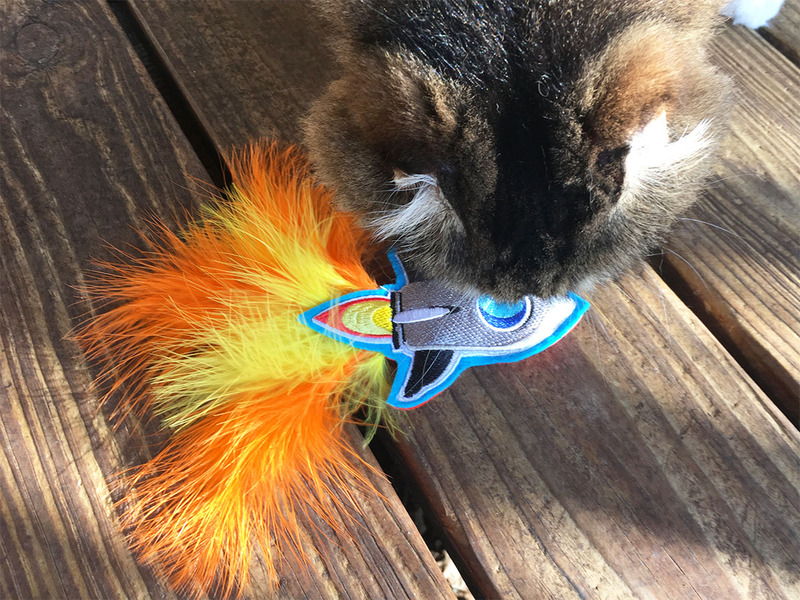 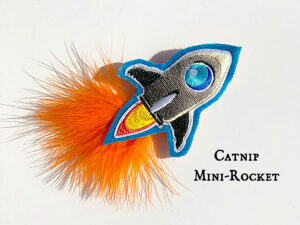 Our Mini-Rocket Catnip Toy is smaller but just as fun. Can’t decide on the Large or the Mini? 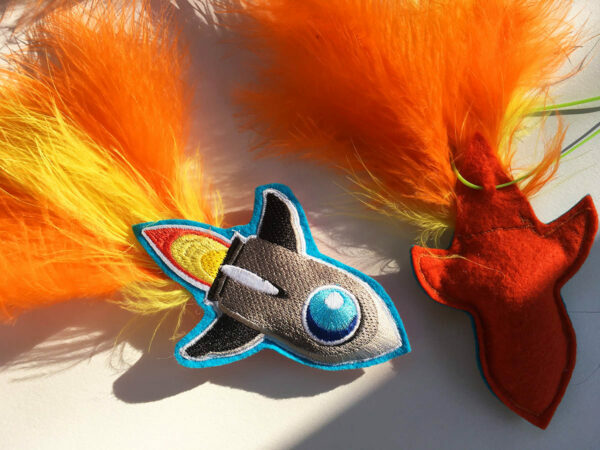 Get both the Large Catnip Rocket Ship and the Mini Rocket Ship and…”have a blast!” Choose the option for the set of both in the menu. 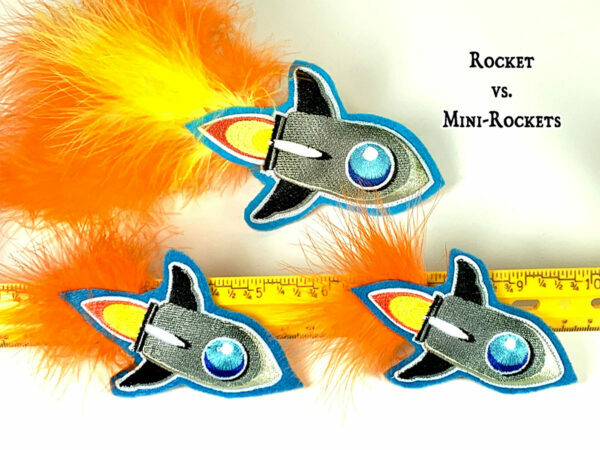 To compare the Large Rocket to the Mini, click on the link to the Mini below. Here’s two Catnip Rocket Ships flying through the wind.